Does Technology Make Students Smarter? The dawn of technological advances made things easier for all Singaporeans and the world. The impact of technology undoubtedly influenced our life but does it make our students smarter? According to a recent study conducted in Tokyo, computers and other technology do not improve the performance of the students. 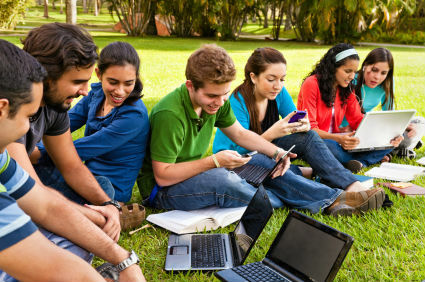 Organization for Economic Cooperation and Development (OECD) surveyed three quarters of students in different countries using computers at their schools. According to OECD, computers made no obvious improvement in results. Andreas Schleicher, the OECD education director, actually divulged that reduced learning outcomes are seen on students who frequently use computers at their school. The report gauged the impact of technology through Pisa tests and other digital measuring skills that were taken by many countries around the world. The results further show that education systems which heavily invested and relied in information and communications have “no noticeable improvement” in the field of science, math and reading. For other schools here in Asia, smartphones and computers are not an integral part of the student’s everyday life and yet they are still considered high-achieving ones. For example, in South Korea, students only use computers for nine minutes and only eleven minutes in Hong Kong. This is just a portion of the fifty eight minutes computer use in Australia, forty two minutes in Greece and thirty nine minutes in Sweden. With this, OECD urged the schools around the world to work with educators instead of relying on technology and communication as learning tools. The educators should maximize technology as a powerful tool. As for developers out there, they should create sophisticated software.